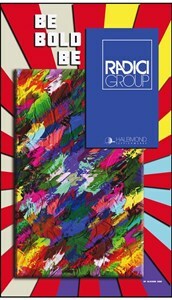 RadiciGroup has confirmed its participation at Domotex 2019, and the RadiciGroup Performance Yarn Business Area has launched its "Product Range Options" catalogue with its newest yarn collections featuring the latest market trends in textile flooring. The new product range includes PA 6 and PA 66 BCF yarns Â– for both residential and contract applications Â– meeting the market's quest for soft touch products capable of giving carpet a rich look and a soft-to-the-touch feel. To give fair attendees a hands-on experience of this perfect marriage of beauty and performance, the fitted carpet in the RadiciGroup stand at Domotex was manufactured with RadifloorÂ® Residential BCF PA66 1100 F 256 x2 Bright-Dull HS Superba, the PA 66 BCF yarn chosen by Condor Carpets for its new line of luxury flooring on display at Domotex at the Dutch company's stand. "In the polyamide 6 BCF yarn segment," said Arturo Andreoni, marketing director of RadiciGroup Performance Yarn, "we have adopted a strategy focused on optimizing products with the attributes most sought after by European carpet makers and taking into consideration the new printing technologies available. As for PA 66 yarn, a more demanding market from a performance point of view, we have enlarged our portfolio of soft yarns. Let us not forget," Mr. Andreoni concluded, "that, today, RadiciGroup is the only European manufacturer capable of producing both nylon 6 and nylon 66 yarns, owing to our vertical integration in the chemicals business Â– a 'plus' appreciated by the market." Another new entry at RadiciGroup Performance Yarn is RadifloorÂ® StanÃ¨t, a PA 6 specialty yarn available in a variety of colours and endowed with embedded stain resistance characteristics. Carpeting made with RadifloorÂ® StanÃ¨t is easier to maintain: after the words of producer, even the most stubborn stains can be removed with water alone. For these reasons, RadifloorÂ® StanÃ¨t is highly suitable for both residential and contract applications. Besides its BCF yarns, at Domotex 2019 RadiciGroup is exhibiting its polyamide 6, 6.10 and 6.6 staple fibres (dorixÂ® and RadilonÂ® Staple fibre), ideal for the manufacture of carpet tiles, and polyethylene, polypropylene and polyamide yarns used for the manufacture of synthetic turf (RadigreenÂ®).